The freedom of the great outdoors is hard to pass up. With a motorcycle or RV loan from LRRCU, you won’t have to. Before you step into the dealership or search online, review your credit report to ensure you're in good financial standing and to check for any errors. You are entitled to a free credit report from each of the three reporting bureaus on a yearly basis. Research the recent trade-in value of cars that are the same year, make/model, and condition of your car. Add that amount to whatever down payment you've saved. Subtracting this total from a new car's sticker price will tell you how much of the cost will need to be financed. When broken down into monthly installments, you'll see if the repayment fits into your budget each month. Reach out to a LRRCU Loan Office for pre-approval. After a review of your credit report and financial history, we'll determine what loan type, loan amount, interest rate, and loan terms are available to you. This will help you set your maximum budget for your new car. 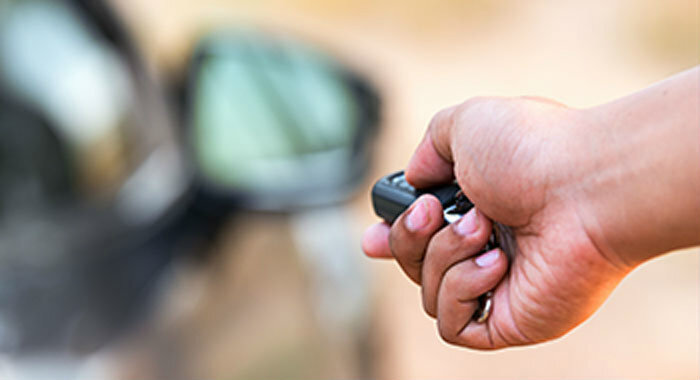 Once you've picked the perfect ride and worked out a final purchase price, the dealership's financing department will coordinate with LRRCU to finalize the sale. If you purchase through a private seller, your LRRCU Loan Officer will take you through the steps of finalizing your purchase. Find values of vehicles with NADA. Find out if your credit is up to par for free at annualcreditreport.com. Read up on LRRCU’s tips for buying a new car.